This page was created on July 4, 1999. We are just starting into the research of our families. We will be updating this page on a regular basis. Click here to enter the data base of names. The data was entered into the program Brothers Keeper . The program then produced a GEDCOM output file which was fed into GED2HTML program to produce the HTML pages you will see here. Click here to see all I know about my ancestors, at this time. Click here to see a family picture of many of the decendents of Carl Walters. 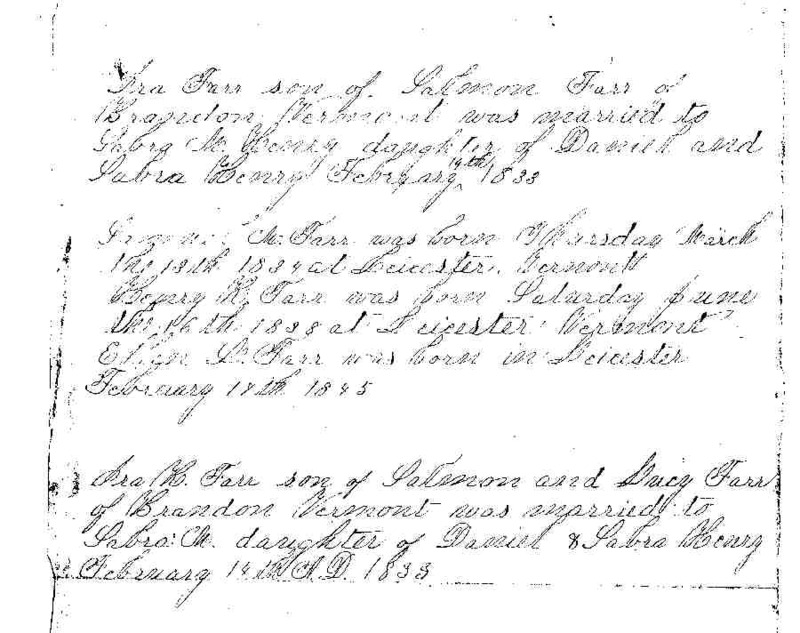 Click here to see a scanned in page from the Farr Family bible. Click here to see a picture of Arthur Farr and his son, Dennis.